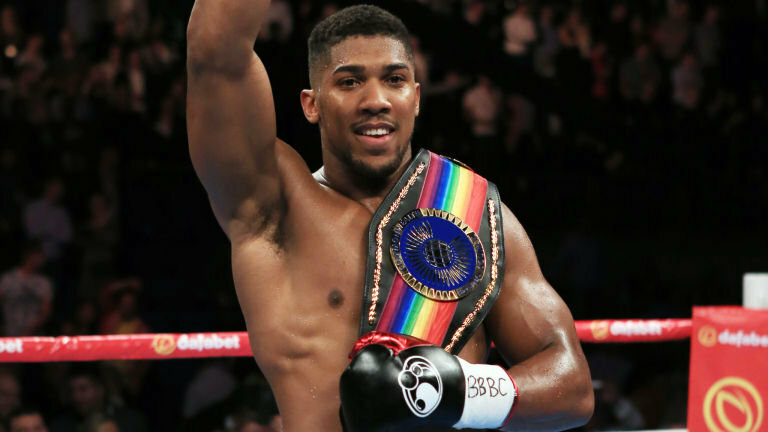 Long before the heavyweight world championship fight between titleholder Deontay Wilder and lineal champion Tyson Fury was made, Wilder’s team tried to finalise a deal for Wilder to face three-belt unified titlist Anthony Joshua for the undisputed crown. Wilder agreed to take a bad deal: a $15m flat fee for easily the biggest fight in the division and one of the biggest in all of boxing, as well agreeing to face Joshua in the United Kingdom, where Joshua is from. However, when Joshua and Matchroom Boxing promoter Eddie Hearn declined to finalise the bout, Wilder quickly went after Fury, who had returned from a 31-month layoff in June. After Fury won an August tune-up fight, he accepted the deal to fight Wilder. The British boxer came to the United States and faced Wilder on Saturday night at Staples Center, where the judges ruled the fight a split draw in an exciting fight in which Fury got up from knockdowns in the ninth and 12th rounds. After the fight, Fury (27-0-1, 19 KOs) accused his countryman Joshua of ducking Wilder. “It’s no secret that Joshua did not want this fight, and he didn’t want it for a reason –because Deontay Wilder is the most fiercest puncher in boxing history, in heavyweight division history. And I saw that, and I felt it,” said Fury, who became only the second opponent to push Wilder (40-0-1, 39 KOs) the distance in his 41 fights. Fury also said he believed Wilder’s efforts to make the fight with Joshua (22-0, 21 KOs) were legitimate.